It's an iconic space saga that predates 1977's Star Wars by 11 years. 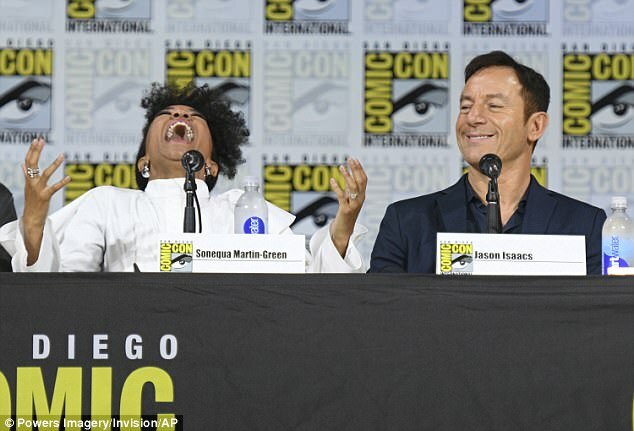 And on Saturday, Sonequa Martin-Green and Jason Isaac were among key cast of CBS' Star Trek: Discovery, the latest TV iteration in the saga, at Comic-Con in the San Diego Convention Center. 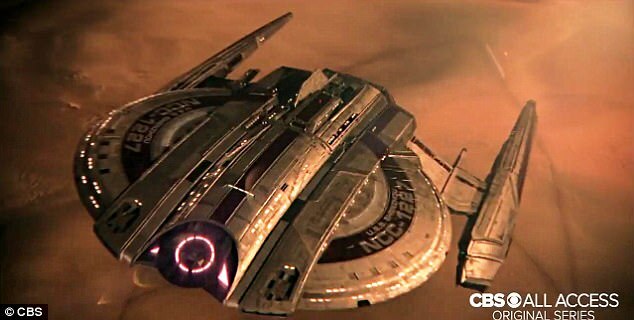 CBS debuted an action-packed two minute and 39 second trailer to the delight of the crowd. 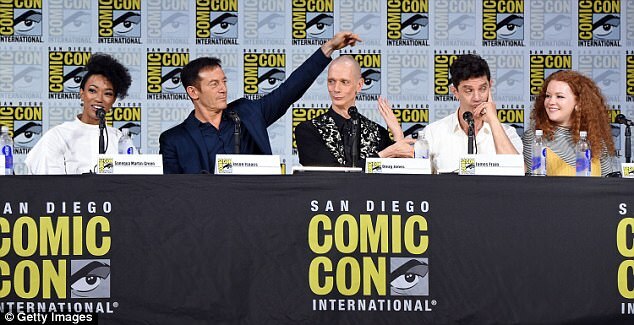 They were joined on the panel by actors Doug Jones, James Frain and Mary Wiseman along with creator Alex Kurtzman, director Akiva Goldsman, showrunners Aaron Harberts and Gretchen J. Berg, plus co-executive producer Heather Kadin. 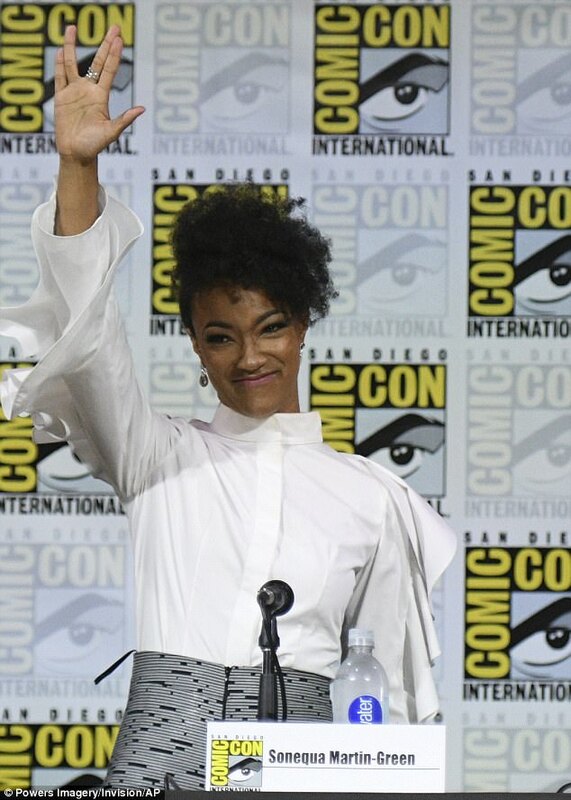 Set roughly 10 years before the events of the original Star Trek, the action revolves around Sonequa as First Officer Michael Burnham (referred to as Number One) with Jason as Captain Lorca aboard the USS Discovery. 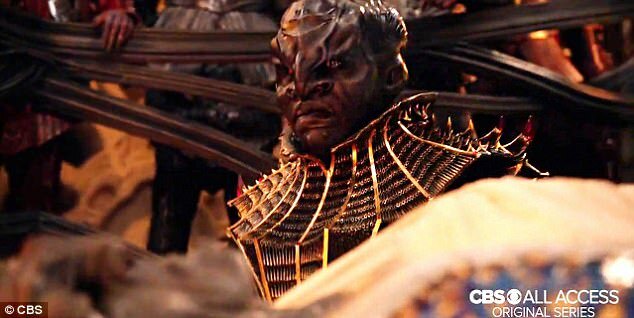 The trailer shows the resurgent Klingons re-uniting the 24 great houses, leading to a cold war with the United Federation Of Planets. Although this is an all new storyline that runs parallel with the rebooted film franchise, fans will recognize one character from the 1966 Star Trek - Harry Mudd. Mudd, then played by Roger C. Carmel, was a charismatic con man who had repeated run-ins with the crew of the Enterprise. 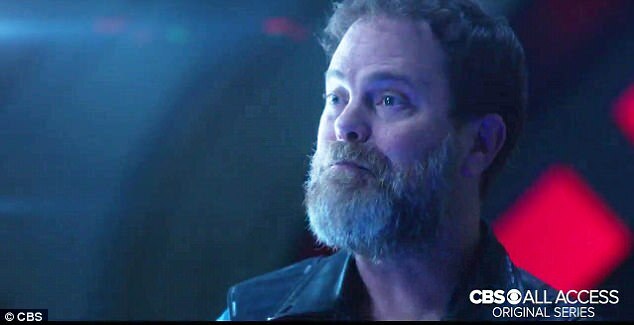 Rainn Wilson takes on the role of the interstellar rogue. 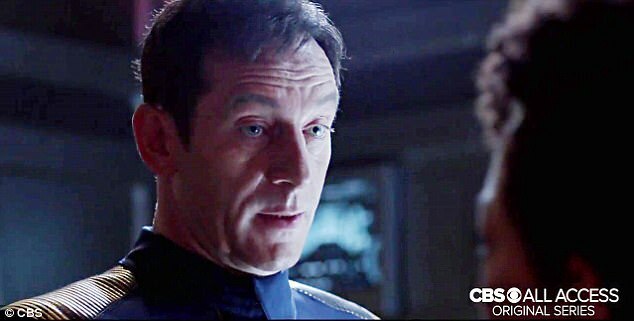 The first episode will air on CBS on September 24 with all future episodes premiering on Sunday nights on CBS All Access, the network’s streaming service.